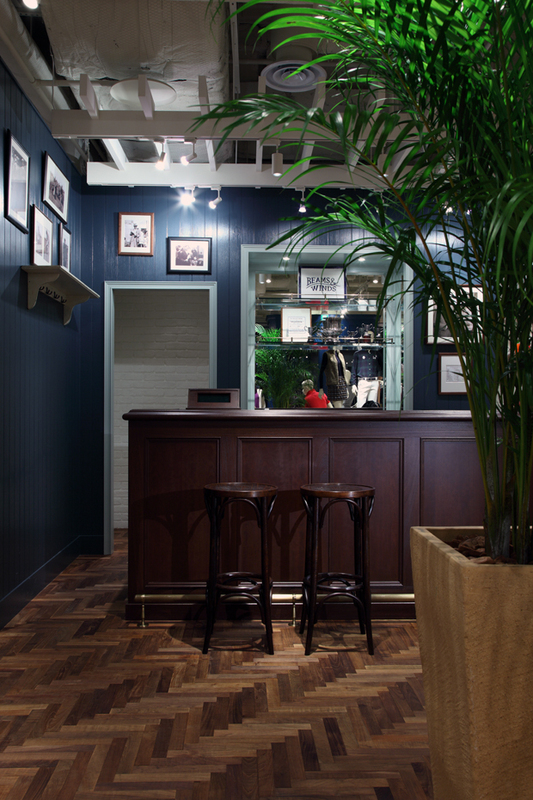 This new concept shop from BEAMS opened on Naka-Dori Street in Tokyo's Marunouchi area. It offers items primarily from its own BEAMS GOLF collection, which aims to make golf more enjoyable, but also includes high-fashion clothes for the outdoorsman and clothing for surfing and other sports. 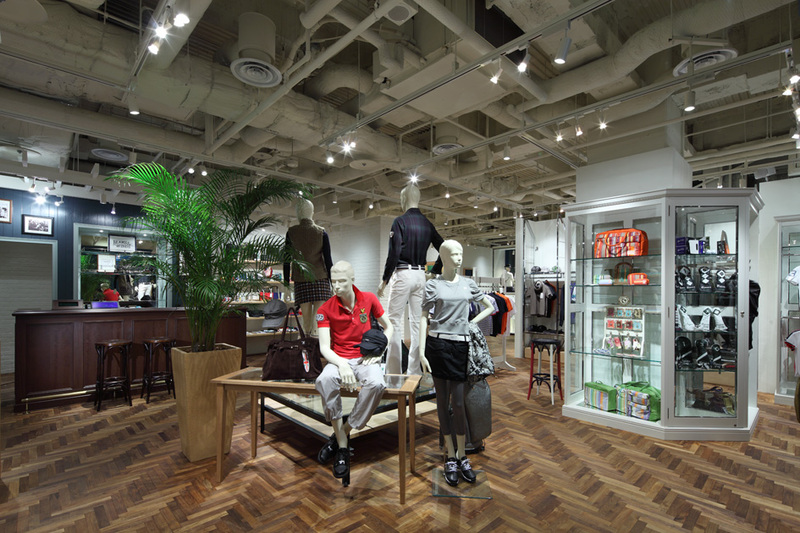 With the aim of showing product in a way that eliminates any disharmony that could arise from showing such a wide variety of styles, Jamo used simple walls (partitions) to create sections for different product ranges and made it easy to layout the various brands in the single space. 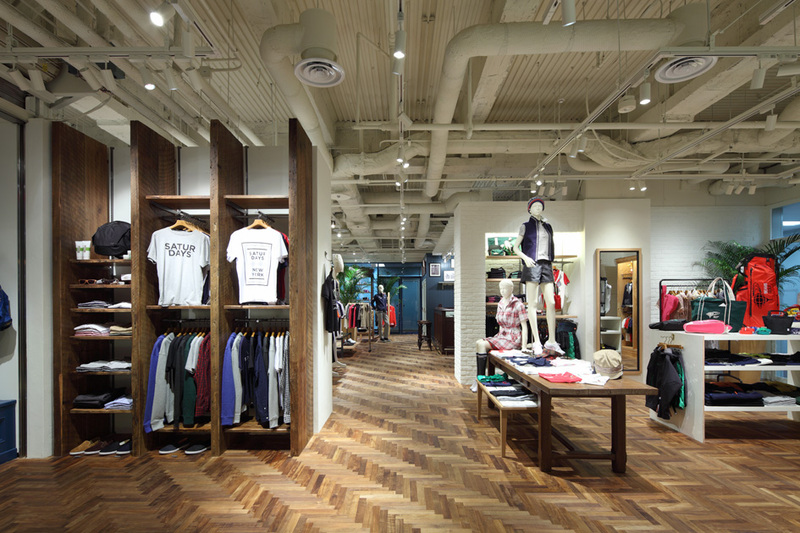 The walls are built so as not obstruct customers' view of the overall shop space and thus customers are naturally guided through the total space. The brand logo in the awning over the shop's entrance is created in translucent film and illuminated by light from the shop's interior. 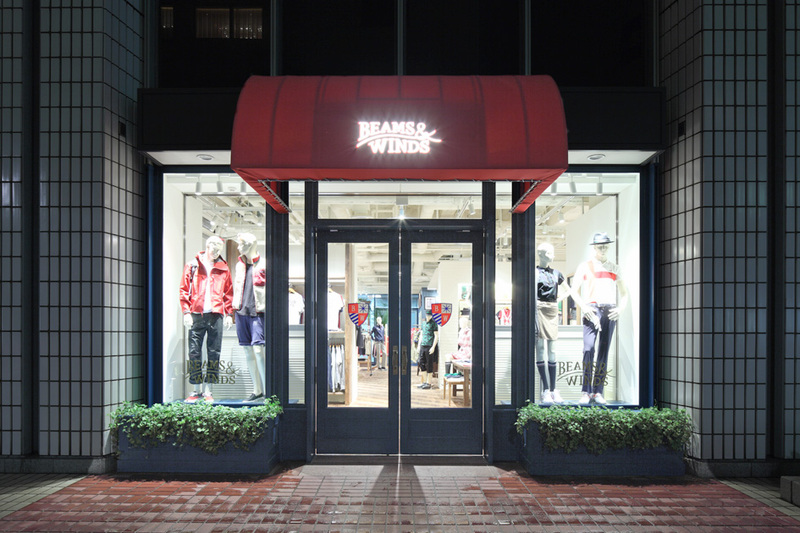 In rain or shine, the awning offers up a retro image of the neighborhood and allows the store to display its style prominently to passersby.